New York Crane Injury Claims | Forklift Accident Injuries | New York Personal Injury Lawyer | Silberstein, Awad & Miklos, P.C. There are many successful crane operators throughout New York and the rest of the state. When you receive a personal injury in your workplace, you may be able to receive compensation for your troubles. Forklift injuries can be serious, and you may need comprehensive medical attention. Between your hospital bills and lost wages from work, compensation is almost necessary in order to recover. In a safe work environment and properly inspected equipment, crane operation can be a terrific job. 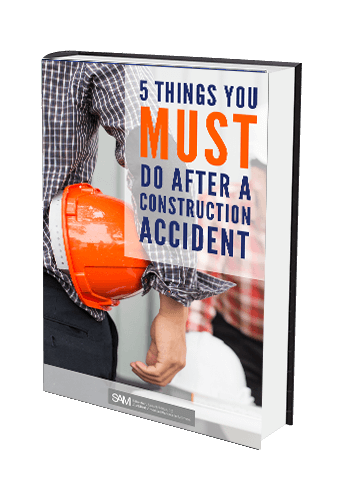 However, due to negligence on the part of employers, construction site supervisors, and others, there are several serious crane injuries every year. If you have received an injury in a crane accident and you are not at fault, our workplace liability attorneys are here to help. We have the experience and resources to represent any client in the New York area, and we always put your needs first. A New York crane injury lawyer works hard to investigate every aspect of the case, ensuring you receive the representation and compensation you deserve. If your job requires you to regularly operate a forklift, you know as well as we do that it can be a dangerous piece of equipment. Even if you have the proper training and experience to drive a forklift, conditions beyond your control can lead to accidents and even serious injuries. If you have received an injury due to a faulty forklift, it is important to protect your legal rights and consult a New York crane injury lawyer. At Silberstein, Awad & Miklos, P.C., we have the knowledge and dedication needed to take on your case.